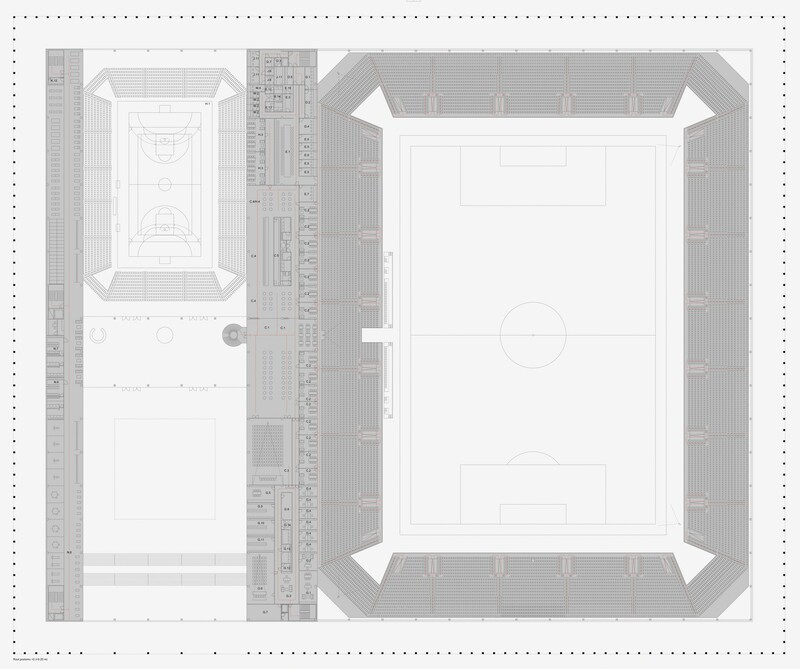 Two conjoined sports venues will be at the heart of the development, both almost indistinquishable within a simple cuboid. 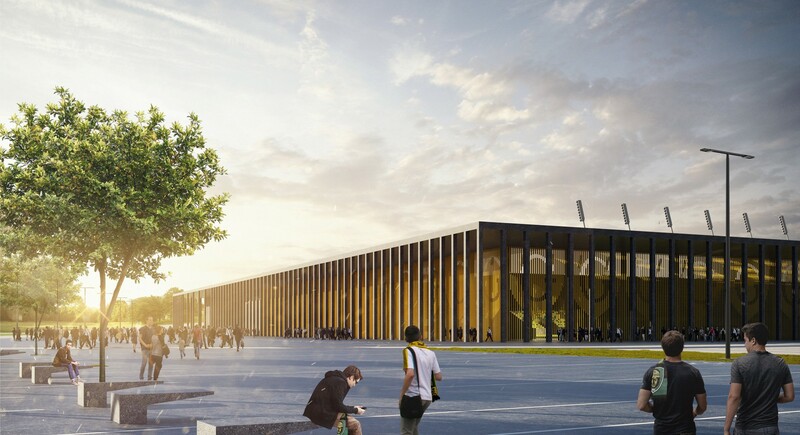 Minimalistic in form, the complex will house a stadium for almost 12,000 people (east) and an indoor arena with up to 3,000 seats (west). 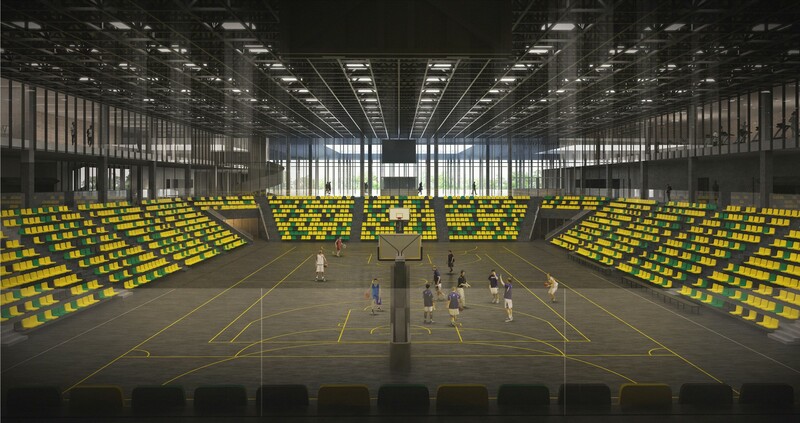 Vast majority of the floor space for both venues will be located on one side of the complex, while fans will be welcomed by a neutral colonnade, revealing yellowish interior, fitting the colours of GKS Katowice. Outline of the club's crest is also visible within the facades. 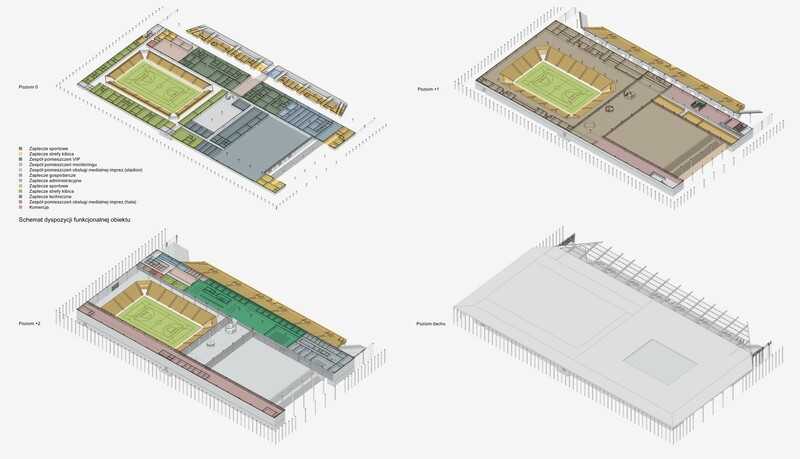 If needed in the future, the stadium will be available for easy expansion to 14,656 by adding a few more rows on top of the single-tiered seating bowl. 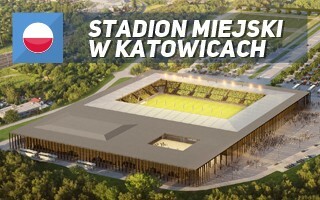 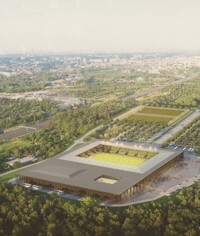 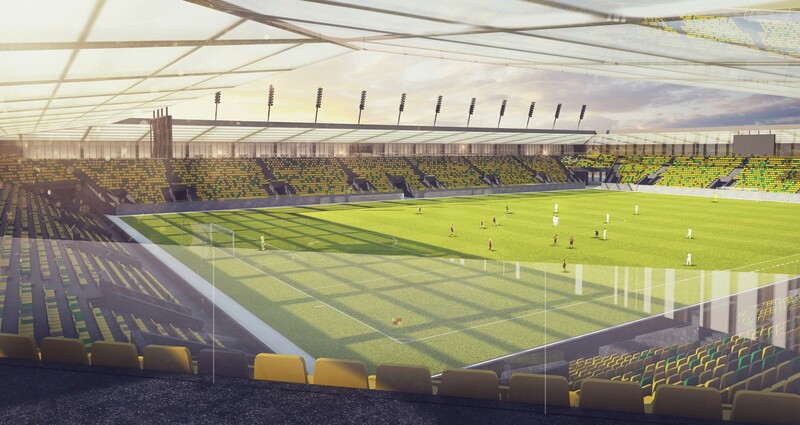 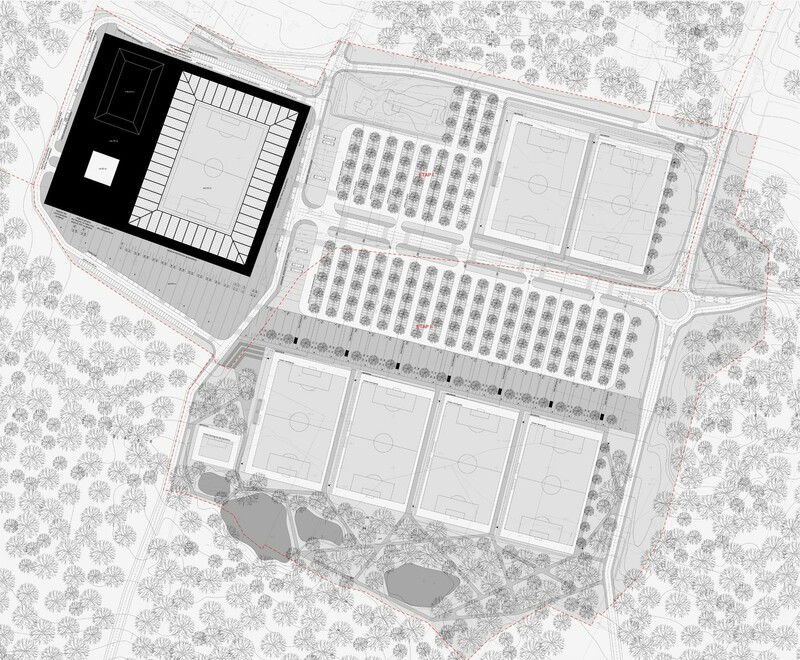 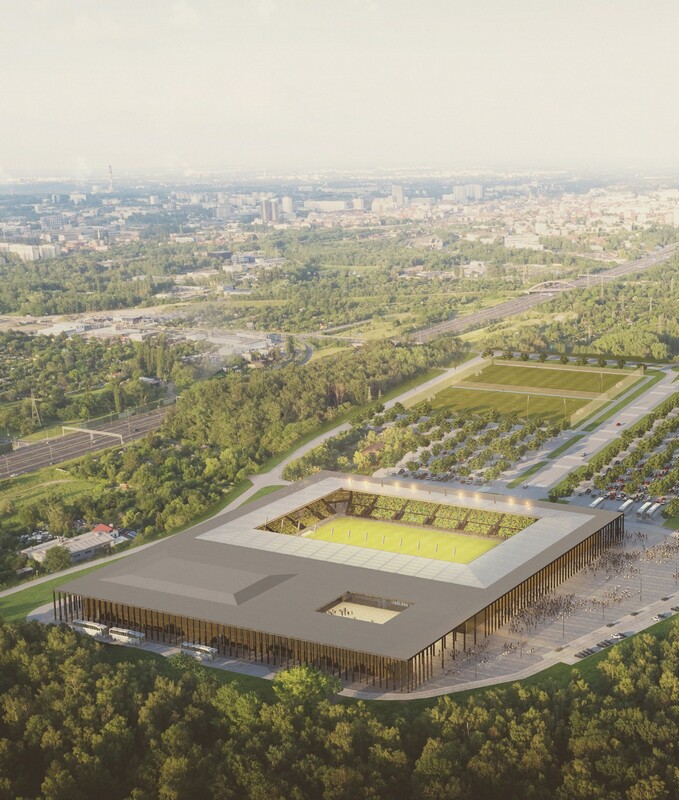 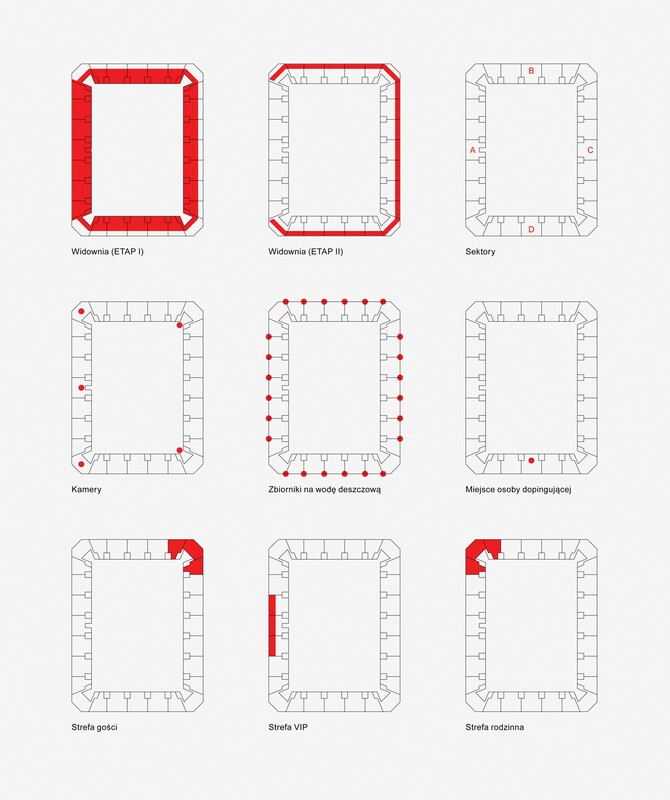 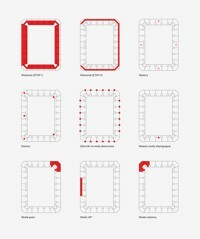 This solution has already been proposed for several stadiums in Poland, notably of local rivals Ruch Chorzów and Zagłębie Sosnowiec.